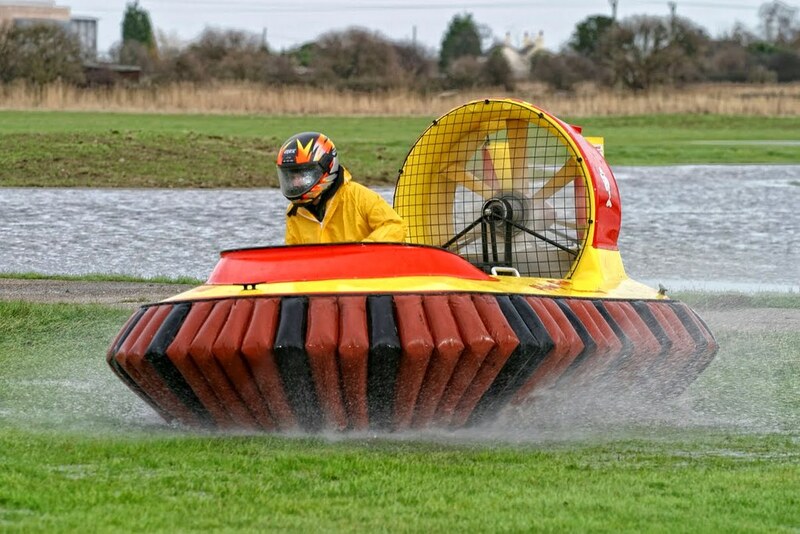 Anyone will enjoy piloting these incredible air-cushioned vehicles. They fly in any direction - even backwards! Can you keep them going in the direction you want? Getting control of one of these amphibious monsters is a demanding task that won’t be forgotten in a hurry. 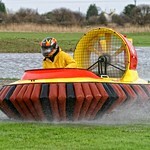 Hovercrafts are maneuvered using a combination of handlebars throttle and the weight of the driver. They are powerful and exhilarating machines; There are no brakes - how brave are you - the skills required to handle these machines are very different to any other vehicle you have encountered. During the session everyone will start at the same level and it is fun to see which of your group will pick up the skills immediately and who will wish they had not been boasting about their talents on the journey. Don't worry no pilots licence required. These machines hover just above the ground as you fly around our designed course. With a 50bhp 500cc engine and capable of 60mph its a total adrenaline rush to fly one of these.